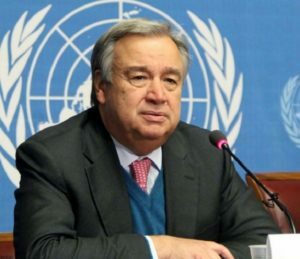 United Nations Secretary-General, António Guterres, has called on member States to put an immediate end to sentencing criminals to death. Guterres, in a statement marking the 16th World Day Against Death Penalty, said progress made toward eliminating the death penalty had been ‘marred by setbacks’. He noted that hundreds of offenders; often impoverished, women or hailing from minority groups have been executed without legal representation or transparent criminal proceedings. “Only last week, Zeinab Sekaanvand Lokran of Iran, was executed for killing her husband, when she was 17, despite a trial marred by irregularities. In some countries, people are sentenced to death in secret trials, without due process, increasing the potential for error or abuse,’’ the UN chief regretted. Gilmour said there was “far too much secrecy, and it’s quite indicative of the fact that although many countries are giving up the practice. Those that retain it, nevertheless, feel that they have something to hide’’.